I love John Denver's music and respect his talent. I feel sorry he died so young. He was a great musician and a distinguished conservationist. 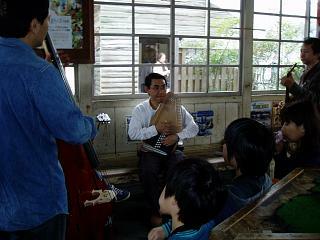 He always sang out doors and sought to teach us its value through his songs. also the sense of social problems, particularly against the war. I want to include this in my own music, too. Recently I'm lovin' the Carter Family style,particularly Autoharp. 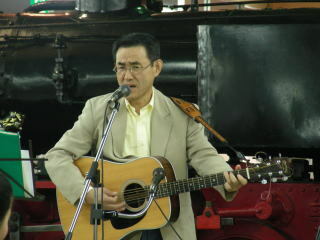 Here are my original Japanese country and folksongs inspired by their music. 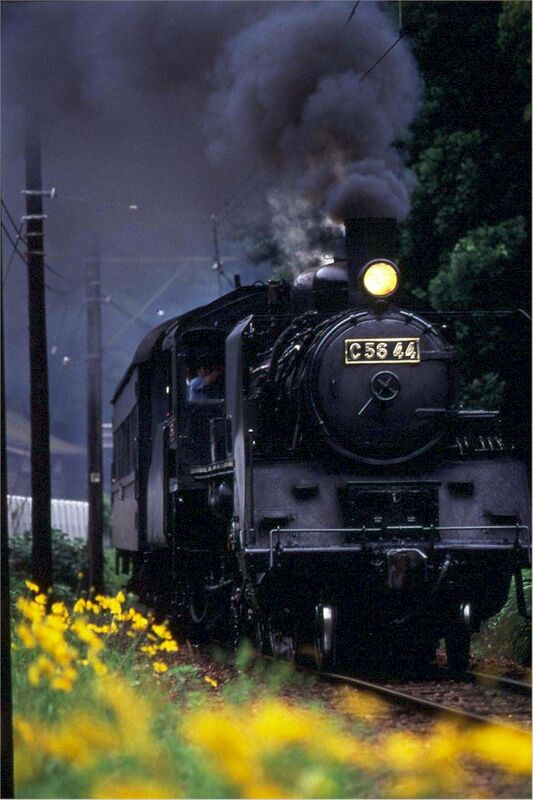 Oi River SL train consert with BlueBells at the foot of Southern Alps in Japan. Thick snow is thawing now. I hear the murmuring stream. Gathering water from the forest to the wide Ooi. We must learn from the river. It runs slowly at the depth. through the valley flowing to the sea. Far away I'm going back. Oh yeah, we are blessed with the holy and glorious woods. Rippling water and the springs. What an amazing world. I see the young green trees, they're sprouting on the dead dry leaves. Growing up to the big trees. Praise the Lord. The sun's shining. We must learn from the mountain, how to live and end our lives. Calm and gentle heart in the nature. Far away I'm going back. We've just come all the way. We've got words and too many things. Almost lose our human gentleness,wanna be just like a flower. I love the Japanese Rose small and yellow along the path. To the place where I was born in. Far away I'm going back. 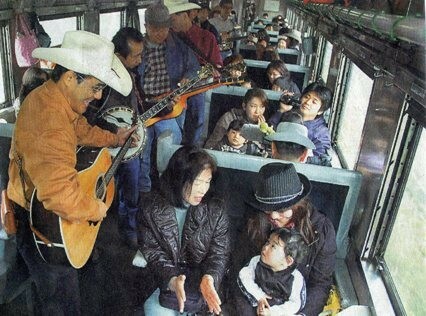 He took a ride on this train once and sang and played his guitar by himself while riding it. He loved this train and the area it went through.